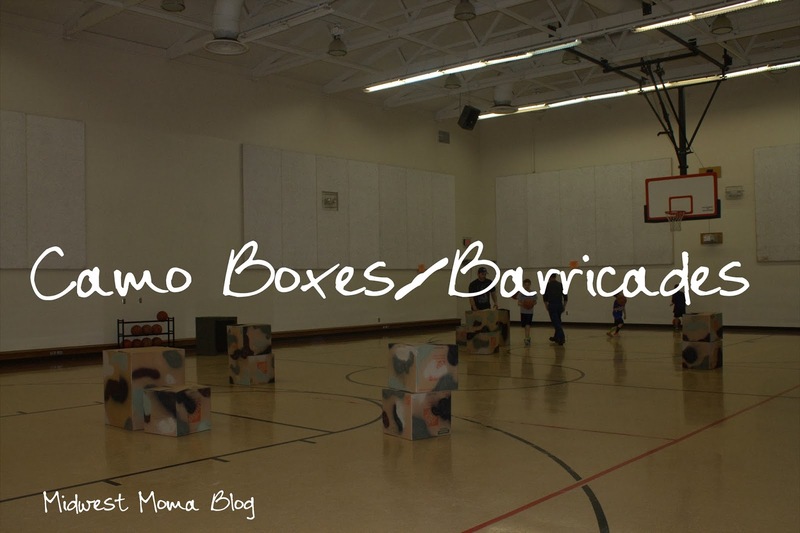 Midwest Moma Blog: Nerf Gun War Birthday Party! 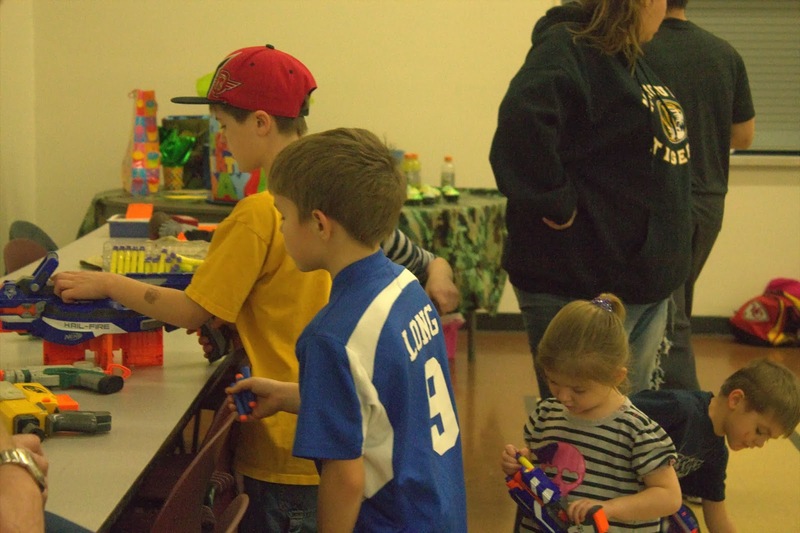 We played "Nerf War" at my son's birthday party this year. It was a TON of fun, he had a blast and the turn out of kids was massively larger then any year past. This party has been the talk of the town since the invites went out....it's been almost a week and the kids are still talking about. This was the easiest party to get ready for. My son would not let me buy him balloons....did I mention is now 10 and too grown up for baby things?? Here is the set up! 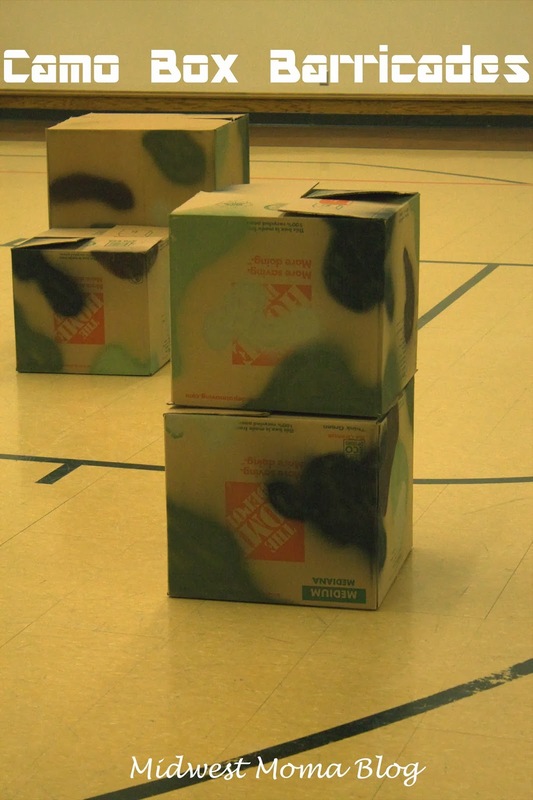 We collected used moving boxes from some folks we know and painted them with Camo paint. 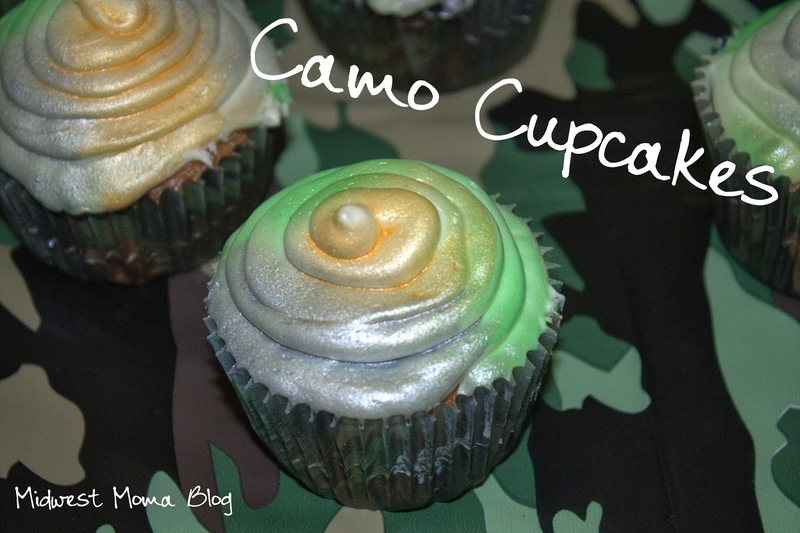 We used the Camo line from Krylon that we found at Walmart for about $3.75 each. This lovely piece, I had to beg my son to allow me to use ;). I used my Cricut to make this. The pennants are actually a food topper flag that I enlarged and cut in half. The cut came from the digital download Party Picks and Pennants. The letters are from the Cricut Opposites Attract Font Cartridge. The Pennants were cut at 2.5 inches and then cut in half once I pulled them from the mat. The letters were cut using the "Add text" option default size. I bought the Camo paper the letters were cut out of at Hobby Lobby. 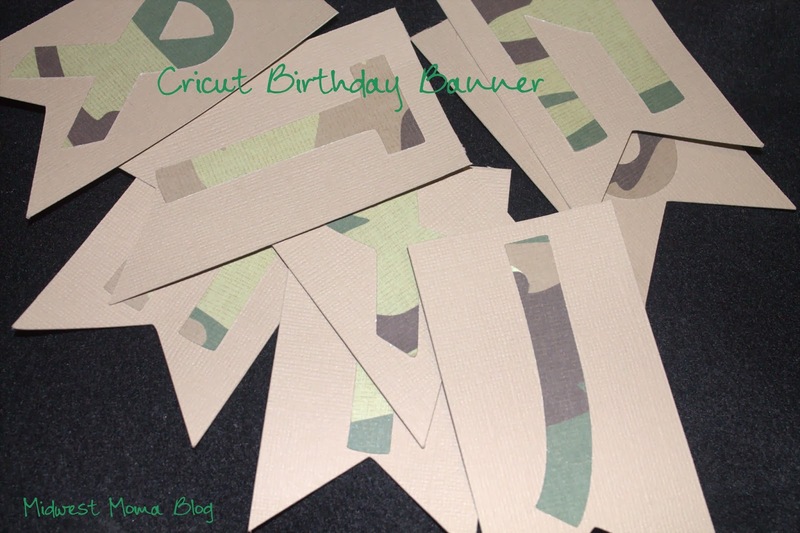 The ribbons were cut from the Cricut Stand and Salute Cartridge. The table cloth, plates and napkins were all purchased at Hobby Lobby. I was surprised at the lack of camo party gear available at Walmart and Target. 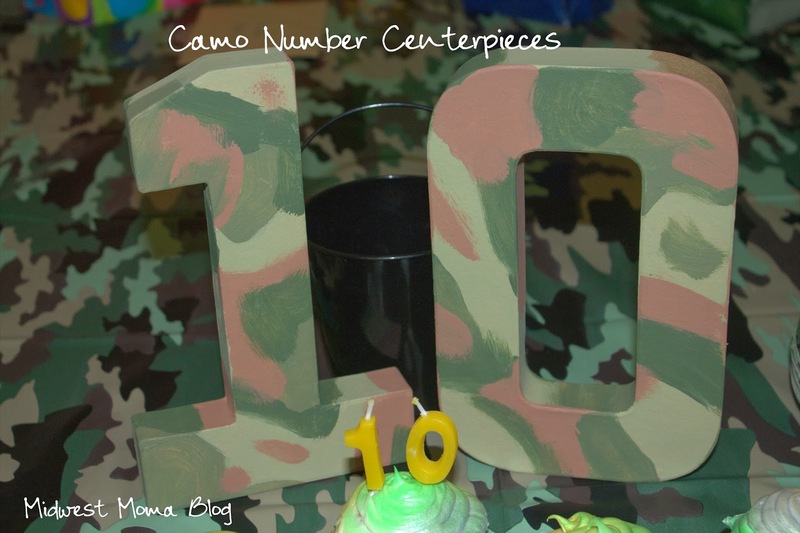 I love doing these painted themed numbers for my kids' parties. I started them with this child turned 8 and they are huge hit with them. The numbers can bought at Hobby Lobby for $2.57 each and they go on sale quite often. The camo paint was done free hand. The liners, again, were found at Hobby Lobby. 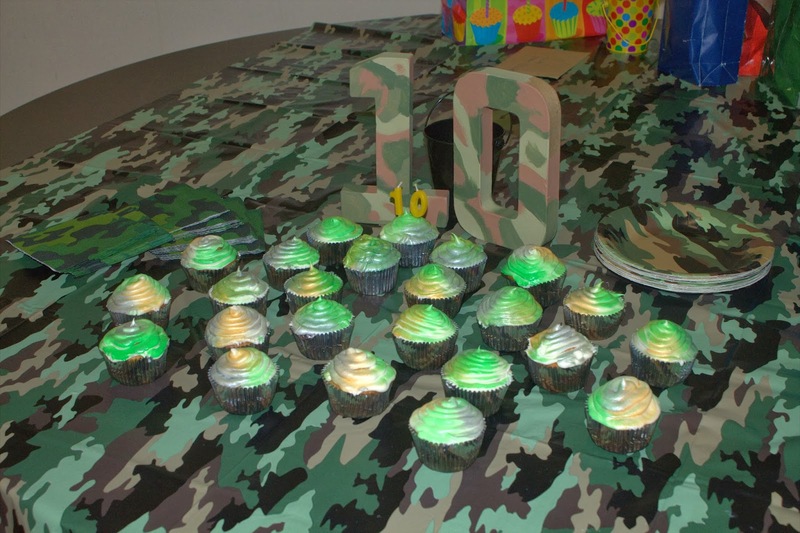 I used that spray paint food coloring to make the camo look on the icing. This was fun but I will warn you that you need to clean it off your counter tops quickly...we got a little stain from the green! OMG!! 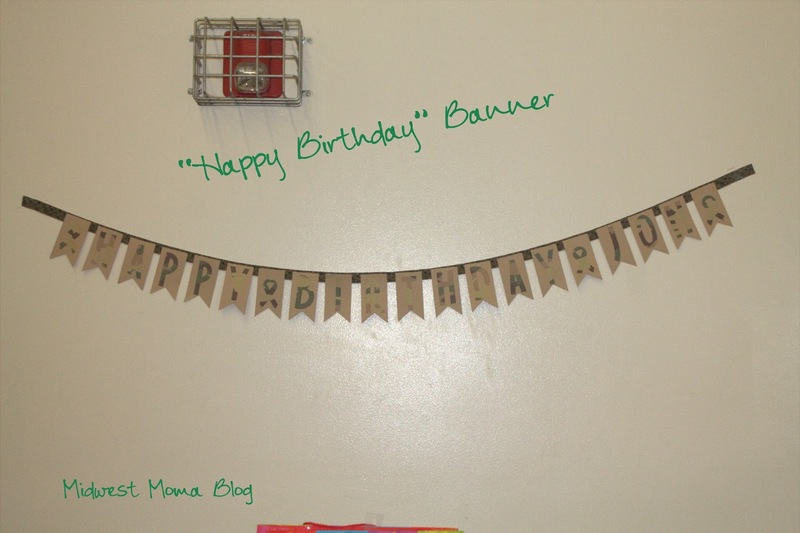 This birthday theme is elegant. The cupcakes look adorable. For my daughter’s birthday party at one of New York Event Venues. I went with tangled theme and took ideas from my best friend. She helped me in doing all arrangements for the day. We both made her day enjoyable. I like the font and design of this blog.